I’m a little late to the fig lovin’ game. I’m not sure why. Perhaps it was because I never grew up eating them or maybe it was because their season peaked during the time when berries were still gorgeously cheap and apple season was just on the horizon. Either way I’m here now, eating their beauty in my morning oatmeal and on breakfast toast. I’ve had them on pizza paired with blue cheese, bacon, and a heaping pile of that zesty arugula. Seriously, figs are just too damn addicting. This recipe is probably one of the easiest ways to eat figs. Just toast your favorite bread up, spread on an easy whipped honey lemon ricotta, top with figs and sprinkle with pistachios. 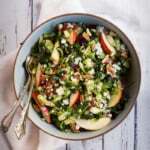 Not so much a recipe, but more like a beautiful way and nutritious recipe to snack on (and enjoy those figs)! For a full-rounded breakfast, serve with an egg or two. Enjoy! 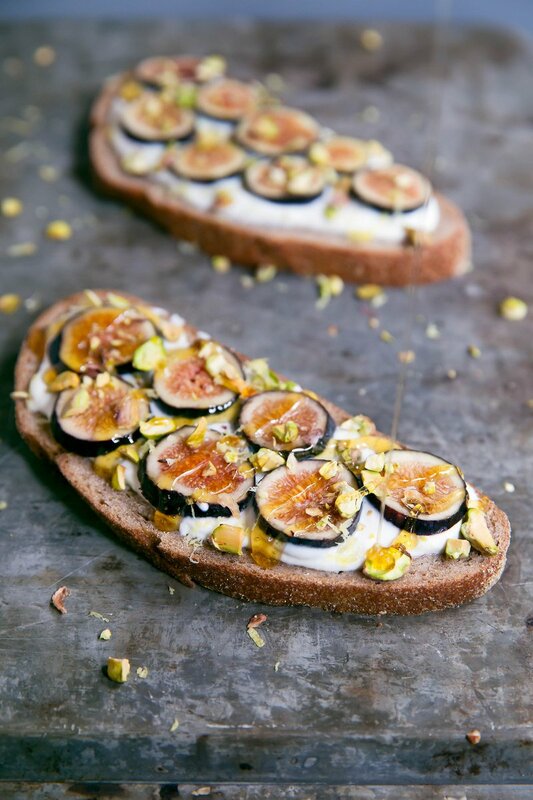 Delicious breakfast toast topped with a honey-lemon whipped ricotta, figs and pistachios. Toast bread in toaster. While bread is toasting, whip together ricotta, lemon juice and honey until smooth and creamy. 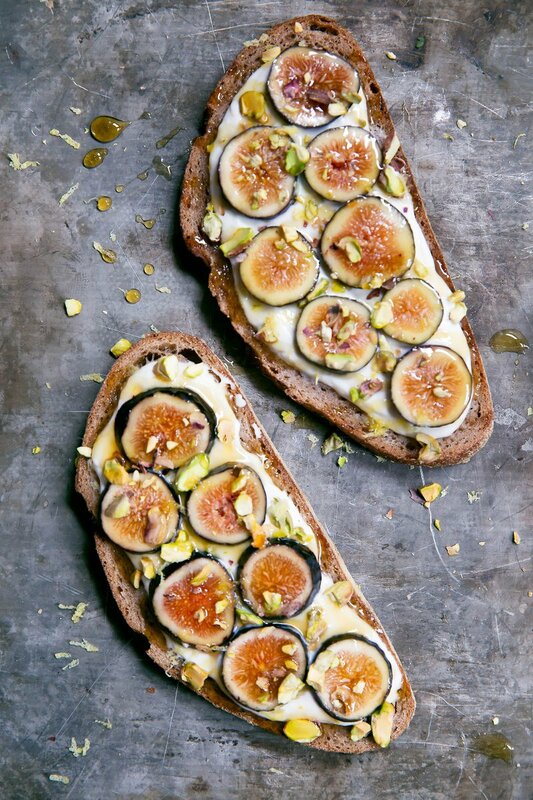 Spread ricotta moisture evenly over each piece of toast, then top with sliced figs. Sprinkle each piece with pistachio pieces and lemon zest. Serves 2. If you make this recipe, be sure to leave a comment below or upload a photo to Instagram and tag #ambitiouskitchen. 36 Responses to "Honey-Lemon Ricotta Breakfast Toast with Figs + Pistachios"
Having an Italian friend with several fig trees means we have an over abundance of these lovely fruits. If you have extra that you don’t want to have go moldy on you just cut off the stem end and put in the freezer. I make fig, date, raisin butter with orange zest to enjoy in the winter months. Yummmm. You know I have actually never grew up eating figs either. I can’t even recall the last time I’ve had a fig like this… But man oh man this looks like the perfect way to change up my breakfast! Or dinner when I’m feeling lazy 😉 Thanks for sharing!! I NEED these!! You’re invited to my house for breakfast anytime! This really does look like the easiest way to enjoy figs, and I love it for that reason. Totally doable! So dang easy!! Love this! 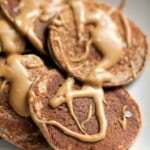 Great breakfast–high in protein, healthy bars and fiber! I have to try ricotta ASAP! I’m not usually a toast person, but these toasts look beautiful! 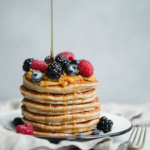 I’ve been itching to try out a similar flavour profile, but with Greek yogurt-topped pancakes. Your post provided additional impetus for that! i’ve been getting into the toast movement, but the homemade ones not the cafe ones ($4 for toast in sf is too much, and it’s so easy to make a tastier one at home). will be making these as soon as the strawberries and stone fruit finally peter out! This looks absolutely fabulous! I love figs! Your recipe is uniquely healthy, Monique! 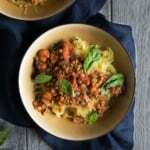 It looks nutritious and pretty easy to make. I love figs, what a great way to enjoy them! I wish we had more figs in Minnesota! They are hard to find! 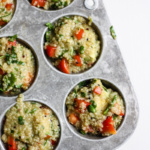 Do you follow Recipe Runner on the blog-o-sphere? 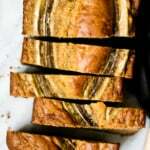 She has a recipe almost identical to this! Great minds think alike. How do you prepare the fig? Do the need cooked in any way? Or do you remove the skin and slice? Hi Julie! You can just slice the figs as they are (no need to cook), and if you’re not a fan of the skin feel free to remove it before slicing. Thanks for sharing this interesting Dish with us. 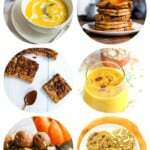 it is very tasty and look good when we eat is it and it is easy to make it.